The switch has no choice but to flood the network with this frame because it has no idea where the destination device is located. associating this address with the interface that received the frame. 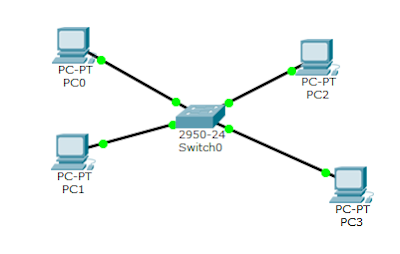 Since the switch now has two MAC addresses in the filtering table, the devices can make a point-to-point connection, and the frames will only be forwarded between the two devices. This is what makes layer-2 switches better than hubs. In a hub network, all frames are forwarded out all ports every time. Diagram above shows the procedures for how a MAC database is built. 0000.8c01.1111; Host 3’s MAC address is 0000.8c01.2222. this frame on interface E0/3 and places the source hardware address inHost 1 and Host 3 can now make a point-to-point connection and only the two devices will receive the frames. Hosts 2 and 4 will not see the frames. it as current as possible.